Trail has an area of 34.78 square kilometres (13.43 sq mi). 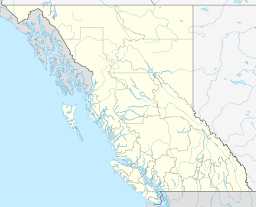 The city is located on both banks of the Columbia River, approximately 10 km north of the United States border. This section of the Columbia River valley is located between the Monashee Mountains to the west and the Selkirk Mountains to the east. 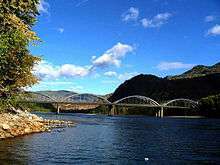 The Columbia flows directly north-south from Castlegar, turns east near downtown Trail, and then meets the Canada–United States border at Waneta and the Pend d'Oreille River. Summer climate in Trail is generally hot and dry with moderately cool nights. Temperatures often exceed 35 °C during summer afternoons, average 29 °C. Thunderstorms are common during the late-Spring and Summer season, often moving into the valley from the south. The fall months brings dense river fog, especially during the overnight and morning hours, as a cold air inversion lingers above the relatively warm river surface. Winters are mild to cold with periods of moderate snowfall. Nearby villages such as Warfield and Fruitvale often receive greater amounts of snow due to higher elevation. 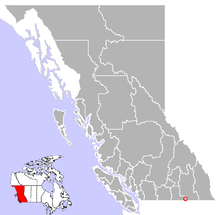 The Monashee Mountains are the first major mountain range east the Coastal Mountains to intercept moisture laden westerly flow from the Pacific Ocean. As a result, areas west of Trail, including the Christina Range, Rossland Range, the city of Rossland, and the Blueberry-Paulson section of the Crowsnest Highway (Highway 3) receive greater amounts of winter precipitation, mostly in the form of heavy snow. Vegetation in the Trail area, although fairly lush, is noticeably drier than other areas with a more westerly aspect. 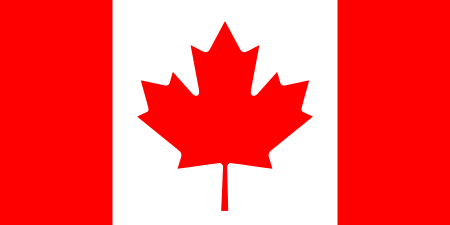 According to Statistics Canada, Trail's population was 7,320 during the Canada 2001 Census. The city is also noted for its large Italian community. There are 1,385 people in Trail with Italian ancestry (18.9%). 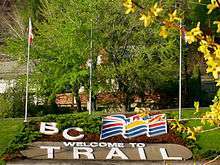 Trail is the location of the head office of the Kootenay Boundary Regional District, which is one of the city's employers. The school district in the Greater Trail area is focused on improving the district and schools and has a focused, well organized improvement plans in place. The strategies selected to achieve the goals are a blend of research, best practice, and innovative thinking. The district has implemented numerous strategies to support schools in improving student learning. Most schools have comprehensive, innovative and research-based strategies to meet the goals. In 2007, the J. Lloyd Crowe Secondary School Replacement program started the construction of a new facility in Trail to replace the existing school that was built in the late 1950s. The new facility opened in September 2009. 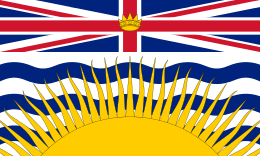 Trail’s statistics differ sharply from that of the province in the percentage of the population aged 45–64 with a trades certificate or diploma: Trail—26%, compared to BC—14%. This is directly attributable to Teck Cominco and the diversified mining and metals company's presence in the area. The percentage of this age group with a university level education is also very different: Trail—12%, compared to BC—22%. The general picture is a working population heavily geared to the trades and historically very reliant on Teck Cominco for employment. Employing approximately 1,800 people, Teck Resources (formerly Cominco) is the region’s largest employer. The average age of an employee at Teck Resources' Trail operation is 47. It is anticipated that within 15 years Teck Resources' Trail operation will have a completely new and different labour force. A younger and perhaps more technical labour force will most likely replace those that are retiring. The big picture for the area is one of an aging population which brings about ongoing employment opportunities in the area. This is evidence based on the improved housing sales in the years between 2005 and 2007, making the Greater Trail area a target destination for people looking for better quality of life in a smaller community setting. "The Onions" and other popular river currents that wind between the rocks on the East banks of the Columbia River, are a popular summer magnet for river activity. Often, throughout the summer, an abundance of avid swimmers and rapid paddlers with a deep respect of the Columbia River dare to navigate the frosty swift waters to ride the waves, such as the local favorite "Onions" river current at Gyro Park beach. Trail is home to the largest non-ferrous lead and zinc smelter in the world and visitors can learn more about the areas largest employer by taking the 2.5 hour industrial tour of the Teck (Cominco) smelter which can be arranged in the Teck Cominco Interpretive Centre through the Trail & District Chamber of Commerce office located above the Toronto-Dominion Bank, in the heart of downtown Trail. This centre is the starting point for the free tours beginning at 10 am, Monday to Friday during the summer; by appointment from September to May. Learn about the plants' operations in the mini-science centre featuring hands-on exhibits for the whole family. View video presentations and displays which exhibit sophisticated environmental monitoring systems installed in the Trail area by Teck. Other presentations illustrate the history of Cominco's Trail smelting operations and provide information on career opportunities in the industry. 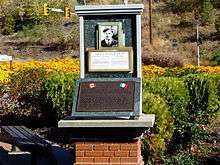 In the early 1900s a large influx of Italian immigrants lent a distinctive character to "The Gulch" which is located at the entrance to Trail accessed by the Schofield Highway which drops down the long grade down from the city of Rossland and the village of Warfield and sub-division of Annabel onto Rossland Avenue. This neighbourhood which runs the length of Rossland Avenue is known as "the Gulch." Originally called the "Dublin Gulch" in the very early days, it eventually became known as "The Gulch" as it filled up with Italians who chose not to live on the original Trail townsite. The Gulch starts as throat of Trail Creek narrows between the high, sandy slope of Smelter Hill on its left bank and the West Trail bank where early pioneer houses were built by immigrants as the purchased properties along the west bank steep terrain. The Gulch is home to shops and the Terra Nova hotel, located at the entrance to Trail’s central business district at the foot of Rossland Avenue. The Greater Trail Area is known as the Home of Champions, in recognition of those who reside in the area, or are from the area, and have excelled in their chosen field of endeavour. In 1995, Kootenay Savings Credit Union was seeking a project that would represent their commitment and appreciation to the Greater Trail community. The Credit Union decided to sponsor the construction of a monument which was constructed in the summer of 1996 outside their offices in Trail's downtown that would honour the "Champions" of the Greater Trail area in Sports, Industry and Lifestyle. A society was formed to establish criteria for selection of the persons to be honoured on the monument. The monument was constructed in the summer of 1996 and forty-three champions were selected to be honoured at the inaugural dedication ceremony which took place on September 28, 1996. To date, eighty-nine individuals and organizations have been honoured with a place on the Home of Champions monument. The Home of Champions monument project is an ongoing one, managed by the City of Trail. Additional persons will be honoured regularly for their special contribution to the social, cultural, economic and educational fabric of the community. 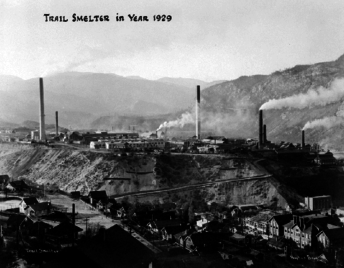 In 1927, a smelter in Trail was polluting, via smoke deposition, farmlands south of the border in the United States. The US initially agreed to bring the issue before the International Joint Commission. A 1931 report the IJC recommended Canada compensate the United States for a sum of $350,000 to the farmers, the US rejected the offer. In 1935 the two countries agreed to arbitration, in which Canada again offered to compensate the US $350,000 for all damages caused before 1932. In April 1938, after extensive expert assessments, the tribunal acknowledged that the smelter had caused damage after 1932. Then in 1941, it held that "no State has the right to use or permit the use of its territory in such a manner as to cause injury by fumes in or to the territory of another or the properties or persons therein, when the case is of serious consequence and the injury is establish by clear and convincing evidence." This case, known commonly as the "Trail smelter arbitration", is a landmark in environmental law, as it helped to establish the "polluter pays" principle for transnational pollution issues. ↑ Barman, Jean The West Beyond the West, University of Toronto Press, 2007, p. 130. ↑ "Teck Cominco Interpretive Centre". Kootenay Rockies Tourism. Retrieved 11 May 2015. ↑ Bratspies, Rebbecca M., Russell A. Miller. Transboundary Harm in International Law. Cambridge University Press, 2010. ↑ Chris Waltham (20 June 2002). "An Early History of Heavy Water". arXiv:physics/0206076 [physics.hist-ph]. ↑ "Project '9' - Heavy-Water (Deuterium) Production". The Manhattan Project Heritage Preservation Association. Retrieved 2007-12-06.